1.With suspension hook, push, geared or electric trolley. 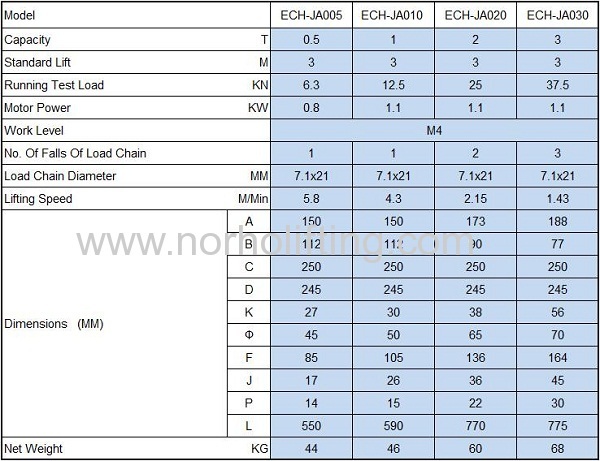 3.Operating voltage 220-440V, 50/60Hz, 1-3 phase Low voltage contril 36V is standard. 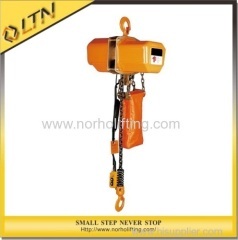 4.High efficient energy-saving motor, asbestos free brake system Light weight, compact and solid body case. 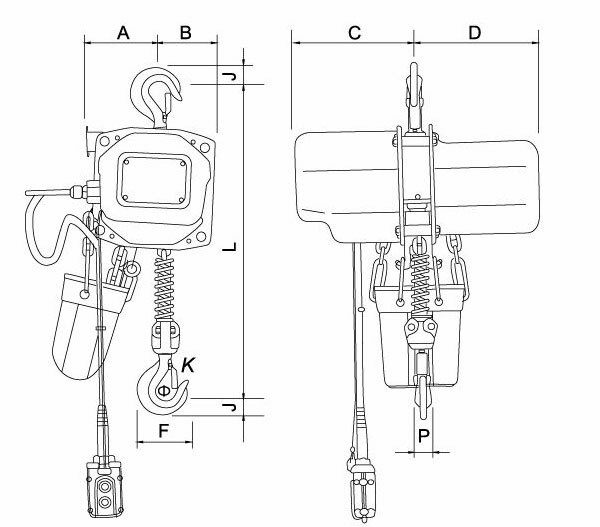 5.Top and bottom hooks are fitted with safety latches as standard. 6.Drop forged steel suspension & load hooks are heat treated and fracture resistant. In case of dangerous overloading or abuse, the hook does not fracture but will slowly yield. 9.Limit switch device fitted at both top & bottom ends, swith off power automatically to prevent load chain from running out. 10.Phase error relay, a specially designed current-post, prevents motor from running at incorrect wire connection.